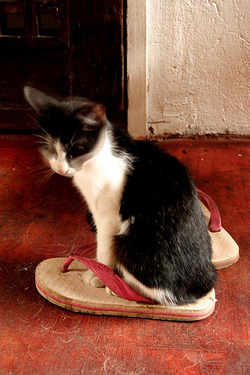 This kitten is sitting on the slipper to stay warm – the floor is cold. The picture reminded me of snowshoeing with my dog Teddy. Whenever we stop for a break she sits on the back of my snowshoes to get off the snow.